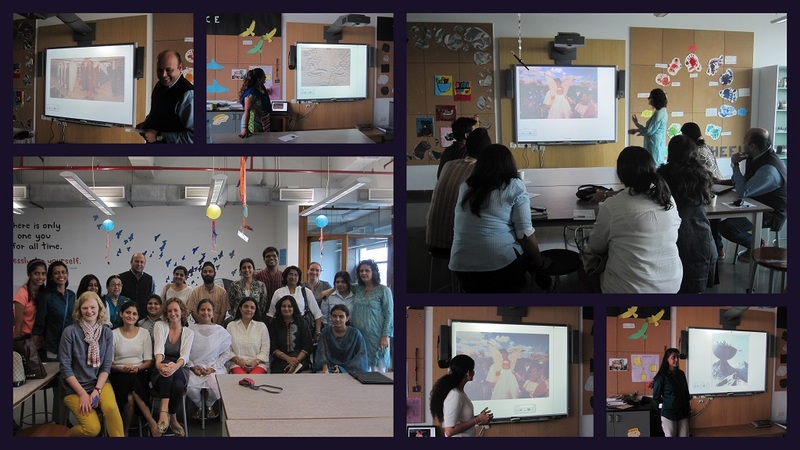 The Open Minds session on Nov 30 on Visual Thinking Strategies was conducted by Ellie Cross and Louise Conway at Ascend International School. 20 participants among them teachers who teach various subjects at different schools, some parents and some students attended the session. What do you see in this painting? The session began with an interactive exercise where all participants shared individual thoughts on a painting in front of them. Take a minute to look at this picture. What do you think is going on in this painting? Why do you think so? What do you see that makes you say so? What more can we find?… So on and so forth. This interaction set the tone for the session. The thrust of the exercise was to emphasise on two things – that children look at and talk about an artwork through their own experiences and that the facilitator has to paraphrase the child’s thoughts with the use of important and correct terminologies and language. Part of the exercise was also to learn to prompt the children to think more while not using explicit praises for anyone in the classroom. A short video on VTS explained the resulting factors such as sharpened observation skills, flexible thinking, critical thinking and enhanced communication skills in children. After some insights into the history and research of VTS, its application in different subjects in the classrooms, such as mathematics and literature, it application methods in art-related settings, the group of 20 was split into two for hands on experience of becoming facilitators themselves. Most of the participants became facilitators, asking co-participants to interpret and share thoughts on different artworks. Most of the participants who tried to facilitate the session, felt and expressed that it was difficult to be a facilitator, to ask the right questions, to not bring in one’s own thoughts and inclination while probing and asking questions. And all of them felt the need to practice a bit before taking it to their classrooms. – How guided does a conversation have to be in a classroom? 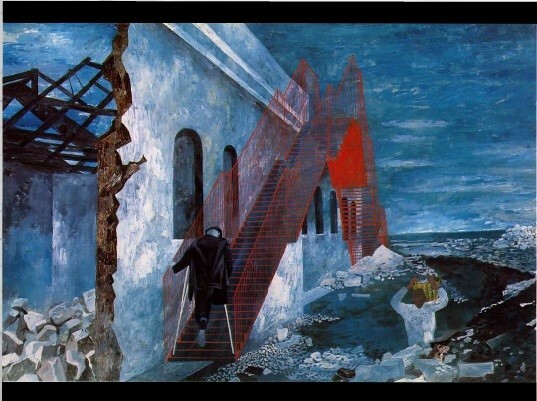 – What if one wanted to use a three dimensional object for such an exercise and not a painting? – Has VTS been used for the visually impaired by having 3D impressions and objects? – How can one apply VTS as a parent at home? – How does one paraphrase if a child is trying to open up and share something uneasy that the child may be going through? – Does a teacher him/herself spend enough time in looking at and engaging with the artwork so as to ask the children to do so? – Does a teacher have to know the historical background and facts about the artwork and should they talk about it in class during VTS? The purposeful session inspired many a teachers to take VTS-inspired classes in their classrooms! Let’s see what the children have to share? !